“My parents knew almost nothing about science. But in introducing me simultaneously to skepticism and wonder, they taught me two uneasily cohabiting modes of thought that are central to the scientific method.” This is how the astronomer, astrophysicist and cosmologist Carl Edward Sagan (1934-1996), known as one of the greatest science popularizers in history, recalled his childhood. In the 1980s, through his television series Cosmos, he turned science into part of mass culture, spreading his passion for astronomy to more than 400 million viewers, trying to instill in them the power of logic for skeptical thinking. 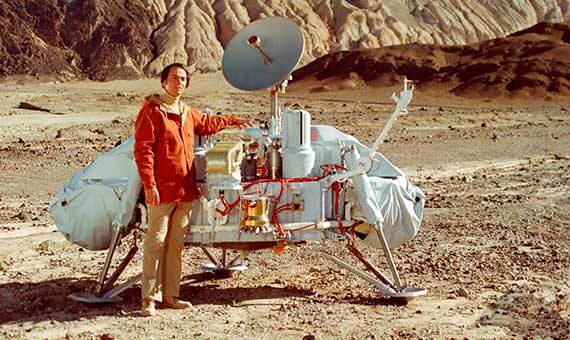 Since childhood, Sagan was fascinated by the mystery of life in the universe. 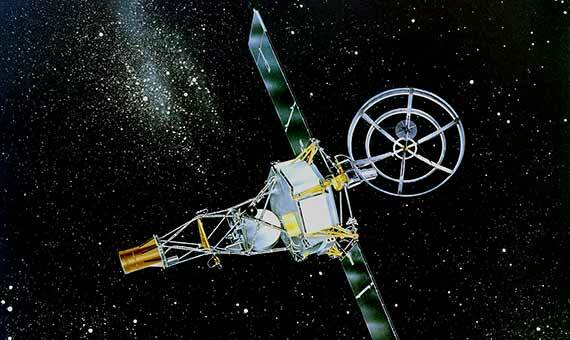 As a researcher, he began his career at NASA’s Jet Propulsion Laboratory, where he contributed to the mission of the Mariner 2 probe that arrived on Venus in 1962 and confirmed Sagan’s predictions that it was a dry planet with scorching heat. Despite his temperament as a skeptical and rigorous scientist, many of his first publications were about exobiology, and on several occasions he speculated about life on Venus, Mars, Jupiter and even the Moon. Sagan did not censor himself at the time of asking questions, although he later realized that his hypotheses were unfounded. His interest in refuting pseudoscience led him to organize two symposia at the American Association for the Advancement of Science (AAAS). The first, in 1969, dealt with the study of UFOs. Two renowned astronomers, J. Allen Hynek and James McDonald, argued that unidentified flying objects were visiting the Earth and that, although there were not enough sightings to make a convincing case, the large volume of reports justified the examination and study of the subject. 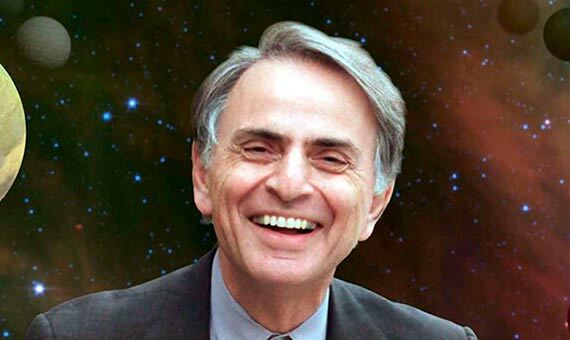 In 1970, Sagan became a professor at Cornell University, where he directed the Planetary Studies Laboratory, and spent most of his career dedicated to research and improving public understanding of the nature of science. He wanted every citizen to have a “baloney detection kit” as a defense against the frauds of commerce and politics, as well as science. In addition to his success as a science popularizer on television, he won the Pulitzer Prize in 1977 for one of his first books: The Dragons of Eden, in which he attempted to travel the path of the evolution of human intelligence. In parallel, he continued to seek contact with alien intelligences through the messages launched on the space probe Pioneer 10 (1972) and the later Voyager probes (1977). He also worked with the SETI Institute, dedicated to searching for signs of extraterrestrial intelligence by analyzing the waves that reach us from space. In his final years, Sagan made his most important contributions in the fight against pseudoscience. In the 1990s, when astrology, the debate on alien abductions, alternative medicine and other New Age therapies became fashionable, the cosmologist used his weekly column in the magazine Parade to discredit the “snake oil sellers” and promote education, presenting the latest scientific discoveries to the public. Confirm the reality (independent of the facts). Encourage debate on the evidence by proponents of all points of view. Recognize that there is always more than one hypothesis. Do not cling to a hypothesis because it is yours. Attaching a numerical quantity is key to discriminating hypotheses. In a chain of argument, all the links must work—not just most of them. The simplest is usually the most likely. Proposals that cannot be proven or shown to be false do not have much scientific value. Until his last days, Sagan applied these rules in his fight against superstition and what he called “junk science,” urging humanity to maintain a critical spirit. “Pseudoscience speaks to powerful emotional needs that science often leaves unfulfilled,” he said. After suffering from a bone marrow disease for two years, he died of pneumonia at 62 years of age. On December 20, 1996, the cosmologist became stardust.